Mama Roo and Baby Roo. Original art on 11x14" canvas board. Please note that canvas board needs to be framed to hang on the wall. I love to paint, and especially love to paint animals. 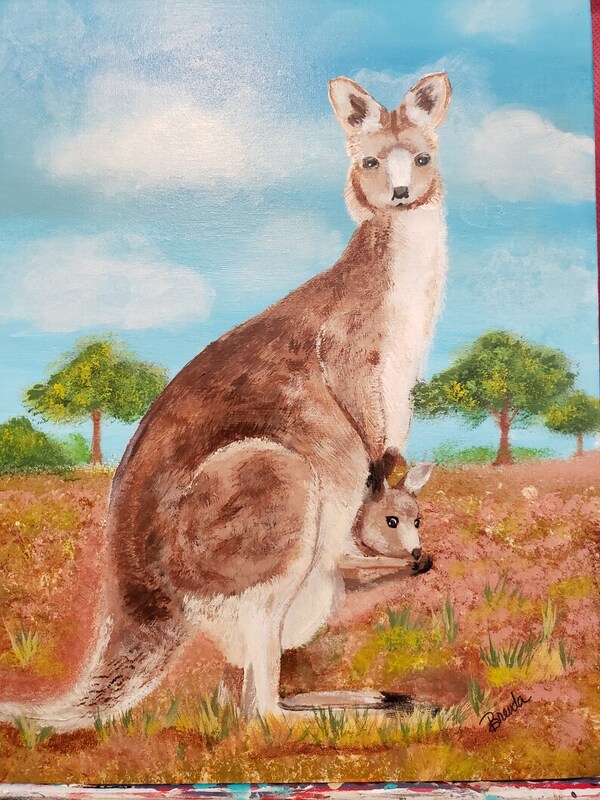 If kangaroos aren't your thing, please see the other photographs in the listing for custom animal portrait information.